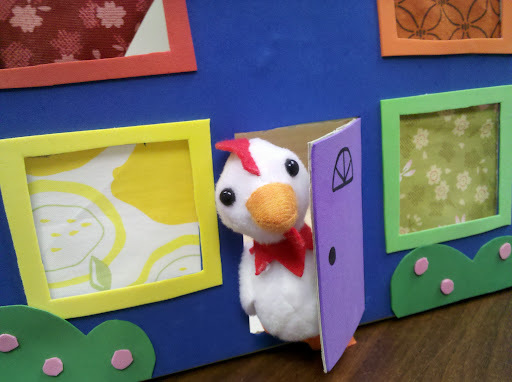 Way back when, I did a house-themed storytime, and was inspired to create a little finger-puppet stage that looked like a house. I used an old shoe box, and sheets of adhesive craft foam. I love building with cardboard! 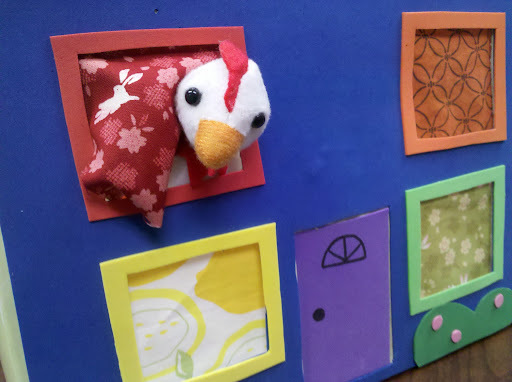 What color window will Little Chicken pop out of? 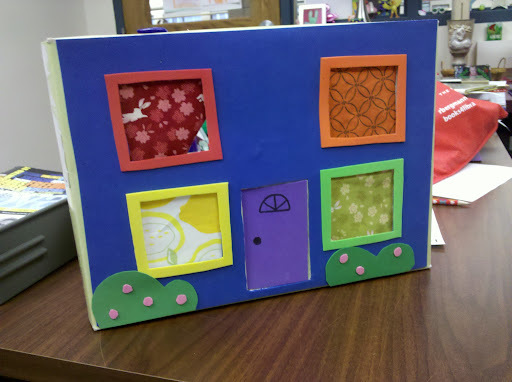 I've used this with Popsicle stick puppets, to introduce letter of the day items, and for guessing games. I wish that I had made it bigger, because it's really too small for a larger crowd (my smaller storytimes are usually about 15 kids plus adults, but since I don't require registration I don't ever really know when those will be). But it's perfect for a storytime of 15 or less. Recently, I was inspired by Flannel Friday (Katie via Smashed Peas and Carrots) to have my student worker create a "Lorax Dice Game." I wanted to use it for my "Lorax Party" storytime during National Library Week, but didn't have a giant die to use. So, I re-worked the game pieces to coordinate with a letter (A=Leg, B=Arm etc.) and put foam letters into the box behind the house. The idea was to have the kids put their hands in through a window or the door and 'randomly' choose a letter and then put the corresponding Lorax piece on the board ('randomly' since I'd be able to nudge the right letter in their direction). My Lorax party ended up being insane attendance-wise,* so I didn't end up using it. *I don't automatically consider large crowds insane, I LOVE big storytimes, but it depends on whether the majority of the group is new to storytime or not. If I have a lot of new kids, I usually end up substituting less-involved activities on the fly. 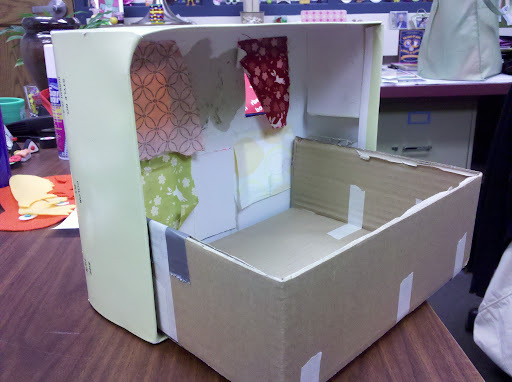 Very cute little puppet house. I can see how kids would LOVE it! I am coming to Wisconsin to steal your chicken!! Wow! That's a really awesome idea! I think I will make one with foam board and a large sheet of foam board so it's big like you recommended.